Once the preserve of cloistered Penthouse Suites and their lucky guests, private plunge pools are becoming ubiquitous in hotels of all shapes and sizes. Despite this increasing presence they still represent the utmost in comfort, providing a decadent perch for relaxation and romance. With some of the world’s best hotels among our roster, we’ve donned our bathing suits to take a deep dive into seven of Kiwi Collection’s dreamiest private plunge pools. Each of The Villa at Ayana’s spacious villas feature a private plunge pool, but this breathtaking resort layers yet another slice of decadence on top. Each morning, guests are treated to the resort’s signature Floating Brunch served by a butler on a floating tray. 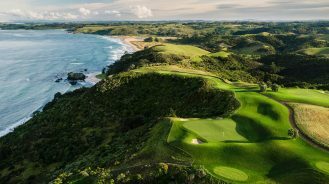 It consists of a three-course gourmet breakfast accompanied by plunger coffee, tea, juice and a chilled bottle of champagne. 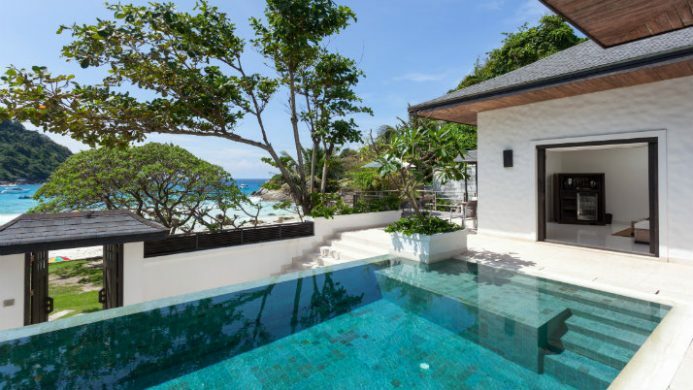 A room with a view is something even traveling greenhorns know to request but if you find yourself lucky enough to stay at The Racha in Thailand, these rooms come boasting a pool with a view. This dreamy resort’s Grand Pool Suite is one of our favorite accommodation options thanks to a private infinity edge pool that overlooks the Andaman Sea. 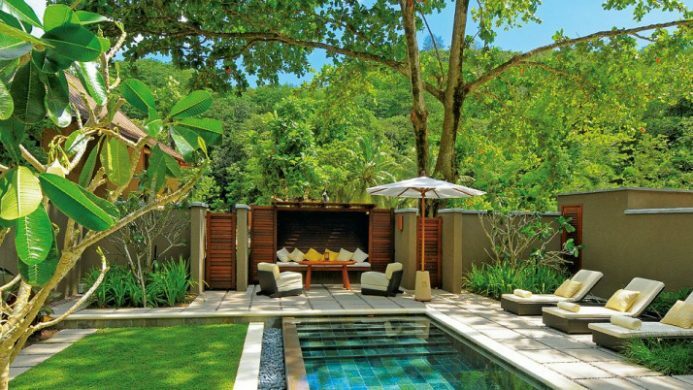 Sri Panwa offers a secluded resort experience amid Phuket’s lush greenery, with many of the accommodations offering lavish plunge pools. 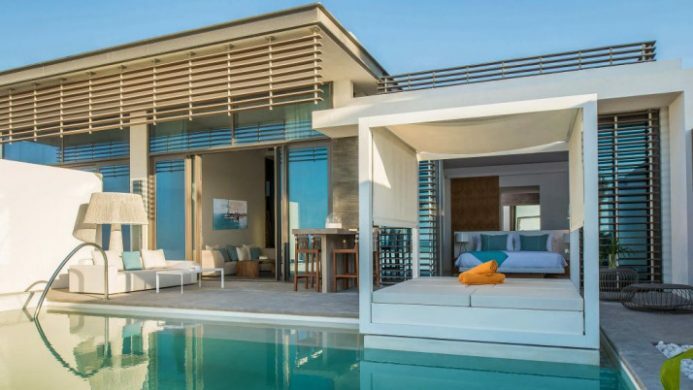 Our favorite is the Two Bedroom Pool Villa, a spacious, residential-style villa that appears to float over the ocean. The master bedroom opens to a spectacular infinity pool (pictured above) with a jet stream Jacuzzi system. There’s also an outdoor bathing area with rain shower and steam room. 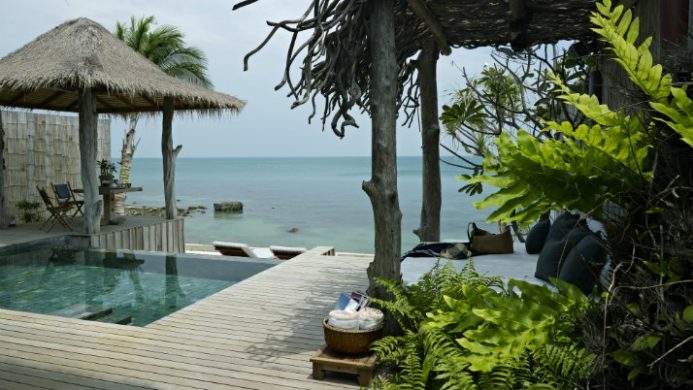 For those seeking an eco-conscious accommodation option, Song Saa Private Island offers a sanctuary where luxury treads lightly. 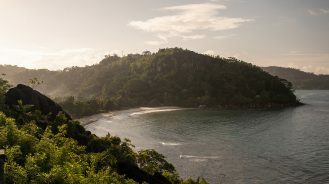 The resort contains 24 just spacious villas, each with a private plunge pool and spectacular ocean views. The villas were constructed from recycled and reclaimed timber, and decorated with repurposed local materials. 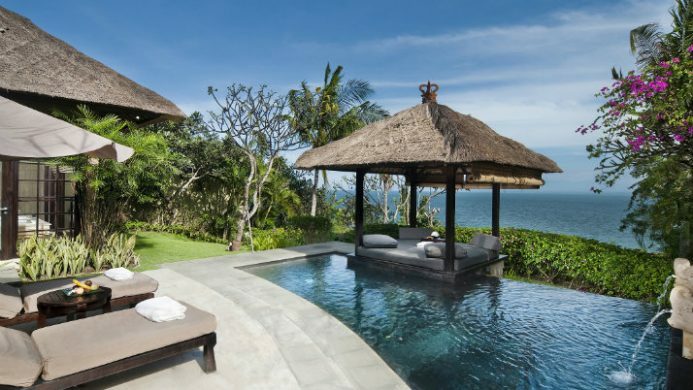 Serenity comes easily in Constance Ephelia’s Spa Villa, and its stunning private plunge pool is our favorite feature. This indoor-outdoor pool moves seamlessly from within the villa to the lush tropical garden outside. If that’s not enough, there’s a pergola for relaxation, a hot tub, and a steam shower. 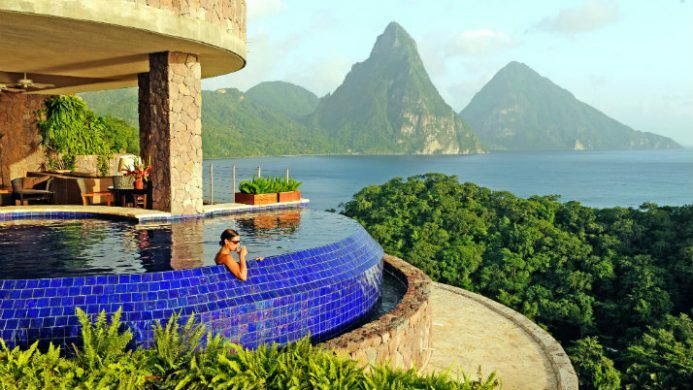 Each of the 24 infinity pool sanctuaries at Jade Mountain celebrate unparalleled views of the Pitons and Caribbean Sea thanks to the unique decision to dispense with a fourth wall. 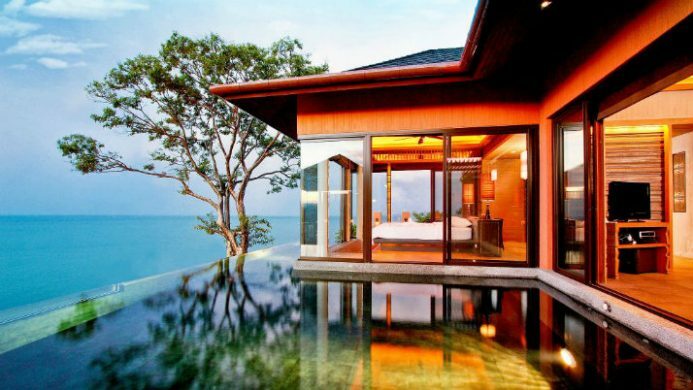 Instead, bedroom, living room and infinity pool mesh together to form extraordinary platforms floating out into nature. At night, the infinity pools glow thanks to presence of adjustable fiber optic lighting. We’re suckers for Nikki Beach’s brand of sensual beach club and in Dubai they’ve quietly created one of the city’s best waterfront hotels. 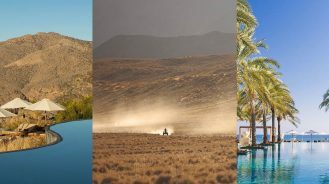 The Nikki Beach Villa is the jewel in the crown, and it contains a unique outdoor with a private pool, external shower, and shaded daybed–the perfect venue to soak up some desert sun.